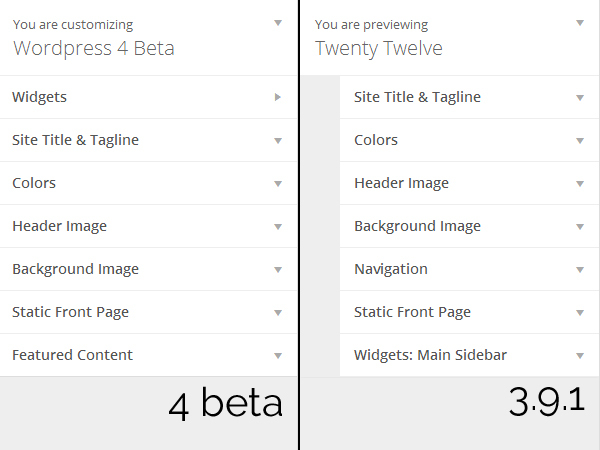 WordPress.org announced on their blog about WordPress 4 Beta Release on 10th of July 2014 and stated final version will be available by next month. Me being a wordpress enthusiastic decided to keep track of all updations of wordpress 4 version and put all information here on our thinkncode.com blog. Previews of embedding via URLs in the visual editor and the “Insert from URL” tab in the media modal. Try pasting a URL (such as a WordPress.tv or YouTube video) onto its own line in the visual editor. Insert from URL feature earlier supported images only, Now its supporting videos too. I also tested it with Slideshare, that too was working just perfectly. There are many other ways to embed videos and slides to posts and pages, but this would be the easiest way to do this stuff. For bloggers I guess this would be a jackpot. The Media Library now has a “grid” view in addition to the existing list view. Clicking on an item takes you into a modal where you can see a larger preview and edit information about that attachment, and you can navigate between items right from the modal without closing it. 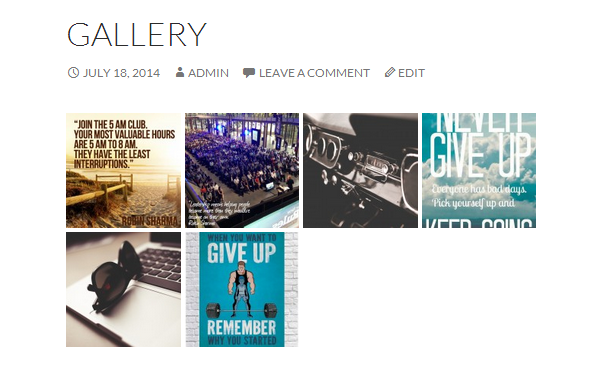 Below is the new Grid look of gallery. WordPress blog stated that a new feature of Modal will be included (just like lighbox), so when a user clicks on a image, it will open in a popup with next previous links. However, this feature isn’t working on localhost at the moment. But with WordPress 4 official release next month, this feature will save life of many as now we don’t have to rely upon plugins to accomplish this. We’re freshening up the plugin install experience. You’ll see some early visual changes as well as more information when searching for plugins and viewing details. The editor intelligently resizes and its top and bottom bars pin when needed. Browsers don’t like to agree on where to put things like cursors, so if you find a bug here, please also let us know your browser and operating system. We’ve made some improvements to how your keyboard and cursor interact with TinyMCE views such as the gallery preview. Much like the editor resizing and scrolling improvements, knowing about your setup is particularly important for bug reports here. Widgets in the Customizer are now loaded in a separate panel. Below you can see differences between 3.9.1 and 4 beta. Widgets section is now in a separate pane. Customizer UI is too improved and made more smooth. You will experience difference when you will use this.